Thursday: First of all, the weather is absolutely wonderful. It’s cold, high today around 52, but the sky is clear and we had great views of the cape. We enjoyed our evening in Antigonish, and started out this morning after breakfast. 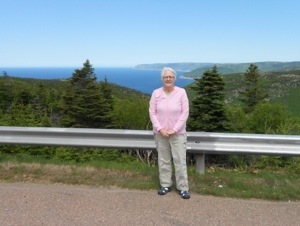 We stopped at a Visitor Center to get a good map of Cape Breton, and then we were on our way. I had already researched the area and I knew of several spots I wanted to stop and visit. We stopped for lunch in Mabou, on the western side of the cape. 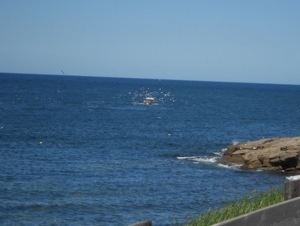 The lady at the Visitor Center said a restaurant called “The Mull” had the best seafood chowder on the cape. We found the restaurant without trouble and had a wonderful bowl of their seafood chowder. It was chock full of haddock, clams, scallops, and lobster. Can you imagine? We really enjoyed it. 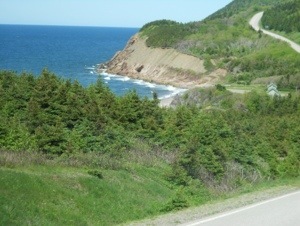 The Cabot Trail winds it’s way around the tip of Cape Breton, which is also a Canadian National Park. It winds around and over coastal mountains, with heart-stopping views of the ocean at just about every turn. 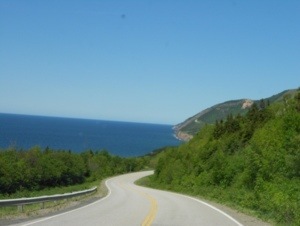 It does remind us of Hwy 101 in California, although the Cabot Trail is easier to drive. 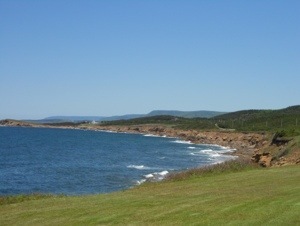 Cape Breton is also famous for Celtic music and the Acadian culture. One of our stops was in the village of Grand Etang at a unique display of locally handmade masks and exhibits depicting the evolution of one of the oldest Acadian traditions, “La Mi-Careme”, still celebrated here every year. It started as a diversion for residents during Lent. 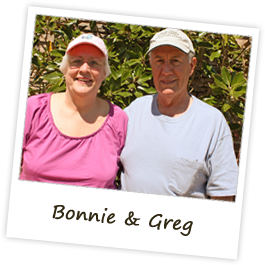 They would dress up in costumes and handmade masks and go to neighbors houses to see if they knew who you were. Sort of like our Halloween without the candy. The masks were supposedly worn so the parish priest would not know who you were. Ben collects masks from his travel around the world, so we’re bringing one home for him. 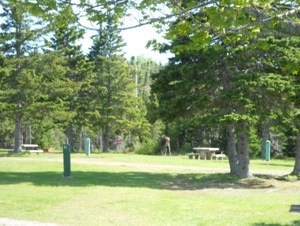 We did not make it all the way around the loop today, so we stopped for the night at a provincial park within the Cape Breton National Park. There are just a few of us in here for the evening, and there was no one to pay, so we just set up camp with the others. If a ranger comes around, we can pay him. As soon as we turned into the campground, Greg saw a huge female moose right in front of us. Of course by the time I got the camera focused, the moose ran into the woods. She came out one more time so the other campers could see her, but I could only get a photo of her as she was leaving the area. We’ll enjoy a quiet evening in this nice little park. Friday: We enjoyed our evening in the Broad Cove Campground. There were only about six rigs in here for the evening and it was very quiet. We were able to take a nice walk but were cautious in looking out for the moose. We did not see her again. 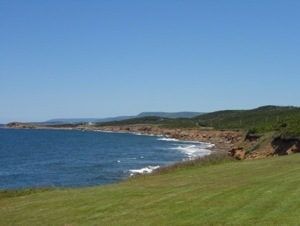 Friday we drove the final leg of the Cabot Trail, and we’ve settled into Whiddens Park in Antigonish once again. This afternoon we did laundry. 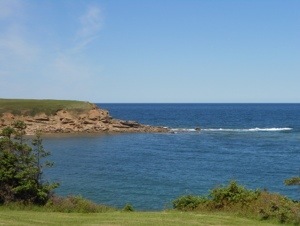 Tomorrow we’ll head out of Nova Scotia toward the US and Maine. 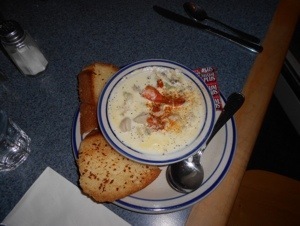 I think I would have had to order a quart of that seafood chowder to go so that I could enjoy it again…..yum.